With the most fashionable month coming to an end, we gathered a few designer styles inspired by the spring runways. 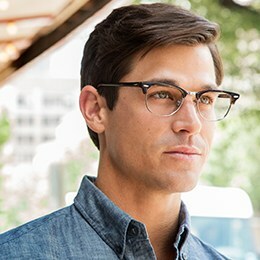 Be a fashion-forward trendsetter by wearing acrylic frames and oversized round or square shapes. The cat-eye trend isn't going anywhere and don't be afraid to try a plastic aviator. If you're more interested in fall trends, we have you covered here. You can also always shop our new arrivals from the latest premier designers. Now who said fashion week ever has to end?